The Tradeshow Event for Women’s pre-collections and contemporary menswear during milan fashion week. With 250 brands on show, WHITE – exhibition sponsored by the Municipality of Milan – grows on the precollections segment with Semicouture special guest and Vivetta special event. An increasingly international tradeshow: it will see the beginning of the collaboration with Revolver Show in Copenhagen, bringing 12 Northern European brands to WHITE and the Danish Soulland as guest of the project. The Special Guest for the Menswear is the Chinese Sankuanz for the first time in Italy. 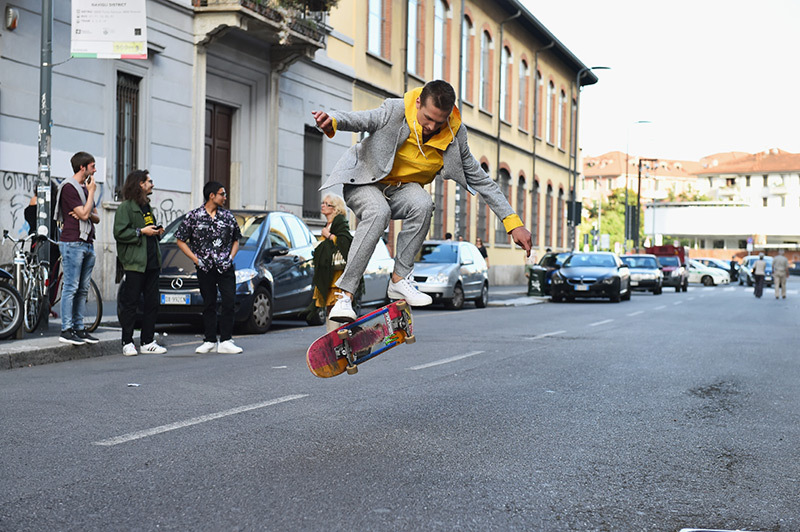 Important developments also for the WOW project by Highsnobiety and LUISAVIAROMA, arriving in a Milan with FIRENZE4EVER and the capsule collection See now Buy now. Acynetic – the new athleisure project by Adriano Goldschmied – will be the guest for the Sportswear area. In a time of big changes for the fashion system, where the collections’ sales and presentation formulas are being redesigned, WHITE WOMEN’S PRECOLLECTIONS + MENSWEAR strengthens its identity as the most cutting-edge show in terms of trends, showcasing in June a careful selection of women’s pre-collections and menswear brands thru dedicated areas in Via Tortona 27 (Superstudio) and 54 (Ex Ansaldo area). At its third edition ONLY WOMAN – section exclusively dedicated to women’s collections – grows by presenting 50 brands in the strategic location of Via Tortona 27, so as to support buyers in the research of this specific women’s preview segment, generating significant turnovers. Inside the show the presence of the women’s lines is growing across all the different sections. The Man + Woman formula launched by WHITE turns out to be very successful, as it offers companies the chance to have both menswear and womenswear collections in the same venue: the exhibition thus counts 185 women’s collections on show. 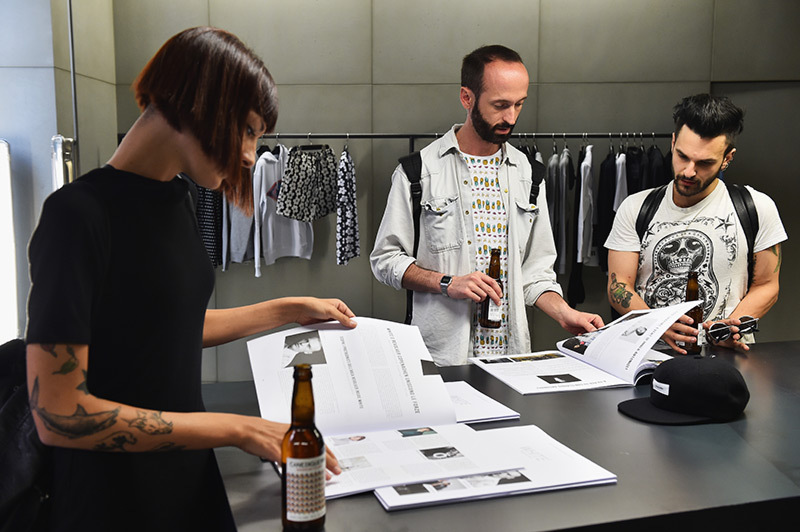 Not only an exhibiting format: WHITE’s goal is to offer an off/online multi-channel platform with an increasingly targeted brand mix to meet the buyers’ needs, supported by strategies and international collaborations, ranging from digital media (like the magazine Highsnobiety) to Copenhagen’s Revolver show, down to retailers like LUISAVIAROMA, that will exclusively sell in store and online a capsule created by the designers of the WOW area. 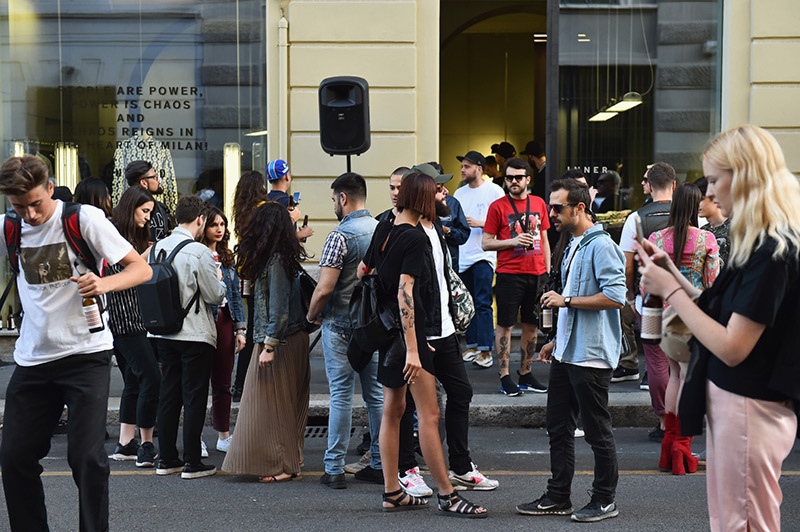 WHITE’s special areas are gaining in importance, as they allow the brands to present themselves with a setting up dedicated to the emotional impact. Among the special areas: Acynetic for the Sportswear area, Collection Privée?, Sankuanz, who will present a special installation with the Chinese designer Xu Zen going under the title “Safe House A”, Semicouture and Cacharel for the Only Woman area. Vivetta will present an area with iconic items and wallpaper drawn from the designer’s prints. Soulland, the special Revolver Guest for the Northern European designers’ area, Act n°1, womenswear brand founded by Luca Lin and Galib Gasanov in 2016, focusing on playful prints, hand-made embroideries and materials. And last but not least RE-BELLO, label born in Bolzano in 2012 thanks to Daniel Tocca, Daniel Sperandio and Emanuele Bacchin, whose women’s and menswear fashion brand features a sportswear style and is devoted to concepts of responsibility, innovation and environmental protection. The brand’s DNA is made up of its exclusively eco-friendly fibers, guaranteeing utmost comfort, as well as a selection resulting from the collaboration between the research centers of the most advanced universities and the producers themselves. Other eco-friendly menswear and womenswear collections in the special area are SELECTED, Danish company established in 1975 by Troels Holch Povlsen, who pursues environmental protection through the implementation of eco-friendly projects. The Special Guest for ONLY WOMAN – the selection exclusively dedicated to the women’s collections – is SEMICOUTURE, a new Made-in-Italy project with its own dedicated space at the entrance of the exhibition. SEMICOUTURE is a new idea of collection conceived for hand-made fashion lovers, reinterpreted with a modern and pop twist and designed for women living in urban areas who won’t give up a dash of fashion and contemporary style.“Spring Summer 2017, second season of the project SEMICOUTURE, is presented in a dedicated and exclusive venue of WHITE, designed to express a fresh and feminine total look mood, enriched by contaminations from the Sportswear and Military world.” So the brand’s designer at the presentation of her collaboration with WHITE Milan. A Special event for the women’s pre-collections is devoted to the designer Vivetta, who will present her collection Resort 17, inspired from a bohemian and refined, but also eclectic and surreal soul, with a non-conventional happening in the gardens of WHITE, as well as a peculiar installation inside the venue. With this project WHITE reasserts its commitment in promoting the pre-women collections during the menswear fashion week in June and January. Among the women’s pre-collections names, important French companies like Parakian Paris, Cacharel and Athè Vanessa Bruno are worthy of mention, always focusing on feminine and refined collections with a dash of romanticism, while never losing sight of the lifestyle of a woman who loves color and comfort. Maison Olga is the “traid d’union” between France and Italy: a knitwear collection that since 2011 has brought French style and Italian handcraft expertise under the same umbrella. The protagonists of the area include: Ultràchic, that at WHITE found its springboard thanks to Time Award. Today the brand is sold in over 150 top shops worldwide. And then Douuod, a brand offering a classy women’s total look with garments made out of simple and comfortable materials. Another debut is the new women’s collection of Mishap, designed by the creative team of Robiz group, that will be presented in the special area Collection Privée?. A-LAB Milano, a top-notch prêt-à-porter womenswear brand founded in 2009, focuses on the digital design of patterns and sculpted shapes using contemporary materials. Flow The Lable, partly from Ukraine and from Belgium, launched in 2014, plays with the balance between retro style and colorful and ironic prints. The very opportunity to showcase menswear and womenswear together proves to be an essential growth factor for the show, that puts together a big number of apparel and accessories brands. Special project for the Men’s and Women’s section is Labo.Art – founded by Ludovica Diligu – who at her debut at WHITE is presenting as an absolute preview her menswear collection with her women’s pre-collections. With creative headquarters in the heart of Berlin Mitte and a 100% Made in Italy production, Ludovica wardrobe stems from a careful study of volumes and geometries resulting in an architectonical exploration of the garments. The offer on show in the Men’s and Women’s section grows bigger and bigger with brands ranging from total look like AMEN, Novemb3r, Thom Krom and Dima Leu, exploring the boundaries between suit and sportswear with comfortable and stylish attires going under the concept of Sport Suit. Another brand focusing on the men’s and women’s mix is OOF, showcasing a range of colorful doubleface nylon raincoats with a hi-tech touch. Not only apparel, but also a wide array of accessories like the performing bags and backpacks by Nocturnal Workshop, Stighlorgan and W8, Linda Farrow’s and Robot’s eyeglasses, The Last Conspiracy and Peter Non shoe-wear and the felt hats by No Hats and Ermanno Gallamini, crafted with noble fabrics by skillful Italian artisans. 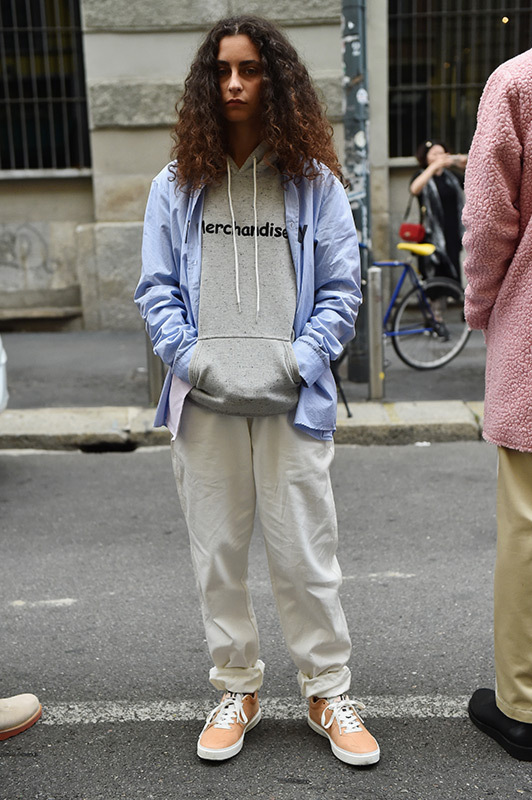 Gender mix for the SPORTSWEAR area too, where the reassertion of the agender trend is paradigmatic. Ex Ansaldo – Tortona 54 puts on show a careful selection of brands merging active attitude with fashion inspiration. 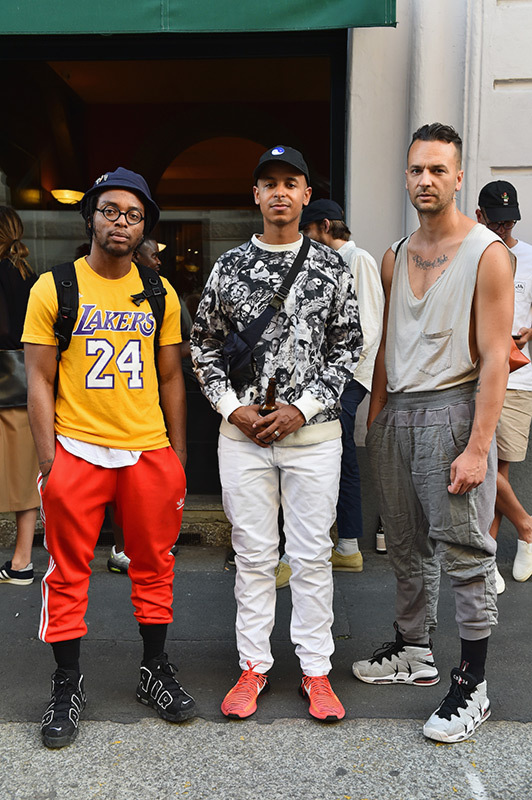 The section’s Guest is Acynetic, the new project by Adriano Goldschmied, who wants to build a bridge between sport and fashion with a style dubbed athleisure. Among the brands at the location: Daily Paper, founded in Amsterdam in 2012, standing out for its eclectic use of the materials, Huf, bringing together streetwear, shoes and skateboard inspirations, Les Geometries proposing items with technical performance that can be worn both in the gym and at cocktail parties. And finally more established companies such as Superga and ASIF (As Seen In The Future). The area is fitted out in collaboration with Technogym. WHITE focuses on a contemporary research menswear reinterpreting the classics of the male wardrobe with brands like La Sartoria di True N.Y., Roberto Collina for the knitwear and Maurizio Miri who also presents his women’s collection: one of the most sought-after labels among buyers, owning to its style, refinedness, premium materials, hand-made cuts and details. And then Corelate, born from the idea of creating products capable of combining contemporary design with premium quality, a perfect combination of casual and sartorial style. Flagship of the men’s denim universe is Kuro, which is already a benchmark for craftsmanship, exclusively Made in Japan. A more avant-garde style for the menswear collections in the Basement, hosting the likes of Henrik Vibskov, House of the Very Island, Asger Juel Larsen, designer considered to be the enfant terrible of Danish fashion and winner of the International Woolmark Prize for a menswear revolutionizing the tailoring rules with an androgynous, highly emotional approach. BARBARA ALAN stands out owing to her exploration of both fabrics and silhouettes. In the S/S 2016 collection the brand plays with geometric lines for him and for her. The womenswear collection must-have detail is the circle shape, used on T-shirts and jackets, and the square shape on men’s shirt and T-shirt. WHITE research in Chinese fashion continues with SANKUANZ, brand created by Shangguan Zhe, born in 1984, who is the Menswear section’s Special Guest. The designer is for the first time in Italy with his collection and a dedicated installation. He took part in the 2014 International Woolmark Prize and was shortlisted at the LVMH Prize in 2015. He comes up with a pop-taste genderless aesthetics resulting from a unique mix of graphics and deconstructed shapes. Oversize Silhouettes in contrast with tailored cuts, playful prints challenging traditional male clothing logics. SANKUANZ reinterprets menswear clothing by rising a rebellious voice and combining fragments of contemporary art with vintage sportswear and stylish uniforms. His collection will be displayed in a special area and enriched by an artistic installation curated by the designer himself who commented: “I am truly honored to have received the invitation as guest designer at WHITE, where I will present a preview of the SANKUANZ SS17 collection, with the desire of sharing contemporary China’s creativity and culture. It will be a very exciting and interesting journey, with many surprises”. Thanks to international collaborations such as those with Revolver show in Copenhagen and Highsnobiety, WHITE has recorded a strong increase in both foreign designers and exhibitors and in buyers, also thanks to the support by ICE – Agency for the Promotion abroad and internationalization of Italian companies. The collaboration with Copenhagen’s REVOLVER tradeshow has started in June, bringing to WHITE 12 Northern-European brands, as well as several coveted retailers from the area, who have already confirmed their presence at the exhibition (see enclosed Press Release). Among them the Danish designer Soulland has been chosen as Revolver Guest and will be offered a special area and a dedicated event. Again with the intent of opening to international markets, the WOW project – White On Web by HIGHSNOBIETY grows in collaboration with LUISAVIAROMA, moving for the first time “FIRENZE4EVER” from Florence to Milan thanks to a capsule collection designed by the WOW designers, which will be presented in preview in Florence inside LUISAVIAROMA store and then in Milan with a special installation at WOW in via Tortona 54 – Ex Ansaldo. The selected brands are: 3.Paradis, Black Rabbit, Nilmance, The Incorporated, ZDDZ, C2H4 L.A, GCDS, Ne.Sense, New Future London (see enclosed Press Release). WHITE’s scouting does not stop there. On Saturday, June 18th, opening day of WHITE WOMEN’S PRECOLLECTIONS + MENSWEAR at the Lounge area the 10 finalists of the Time Award project will be presented and the two winners announced (see enclosed Press Release). Among the important news of Time Award’s second edition the participation of top American buyers, which, also thanks to ICE’s support, will offer the two winners 3 trunk shows abroad to further expand their business. A special mention deserves the exhibition DENIM R-EVOLUTION organized by Don The Fuller in collaboration with WHITE, putting on show the excellence of denim and the evolution from the processing techniques of the 80s to recent eco-wash. A path starting from the first raw denim and the 80s stone wash to cover the spraying and sandblasting techniques of the 90s, down to the scratched and ripped jeans that are now back on vogue. The Italian touch, in masterly using one technique or another, has enabled to make the artisan craft of denim research unique in the world, granting Italy and the Italians an irreplaceable and absolute protagonist role in the world of denim research. “Over the last few years the Municipality of Milan and White have shared the goal of making the most of a Milanese excellence that does not only translate into wealth in terms of outer beauty, but into a system, the fashion system, that is actively involved in the productive and economic development of our city and our country, which we want to go on growing. Each and every White edition stands out for quality, experimentation and attention to the new forms of expression, offered by the ability of combining traditional craftsmanship and innovation”, so Cristina Tajani, Councilor for fashion and Design of the Municipality of Milan. “In the last few seasons White has sped up and further strengthened the process of internationalization of its format. Thanks also to the projects with ICE- Agency in Roma, working closely with its offices in New York, Dubai, Berlin, Shanghai and Seoul, White aims to increase the presence of foreign buyers, to the benefit of exhibitors, but also of the entire Milan’s fashion system.” So Brenda Bellei Bizzi, CEO of WHITE.